Cerebral palsy and neurodevelopment disorders are usually diagnosed in children between the ages of 6 months and two years. If the disorders are identified earlier, it may be possible for doctors to start treatments to limit the impact of the disorders on children. However, detecting symptoms of these disorders any earlier is difficult. One potential sign of neurodevelopment disorders can be found in the spontaneous movements of infants; however, that requires a highly trained eye and any observations are highly subjective. 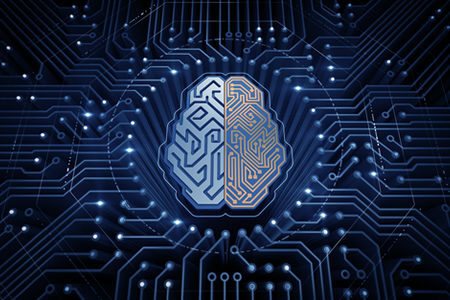 An artificial intelligence-based system could be trained to recognize abnormal movements and thus serve as a possible tool for diagnosing these disorders quickly. A team of researchers at the University of Helsinki have been working on just such a system, and in collaboration with researchers at the University of Pisa and Neuro Event Labs, have developed a system that is capable of recognizing these disorders much earlier than was previously possible. Conventional videos are taken of infants which are then fed into the system which converts the images into stick figures. These skeleton images make it possible to analyze movement with a high level of accuracy. Movement patterns and poses are assessed by the system using what the researchers call a ‘pose estimation method’ which was capable of detecting abnormal or unusual movements in infants between 8 and 17 weeks. The new system was found to be highly accurate and had a Cohen’s kappa coefficient of 0.90 compared to analysis of movements in conventional videos. Out of the 21 infants studied, 14 were determined to have low-risk movements and seven had atypical movements. All seven infants were later diagnosed with cerebral palsy. The AI system could be used to develop a diagnostic classifier of infant movements, which could be used to screen at-risk infants, especially in areas where it is difficult for specialist attention to be received. The system could help to diagnose a range of neurodevelopment disorders faster and potentially improve patient outcomes.